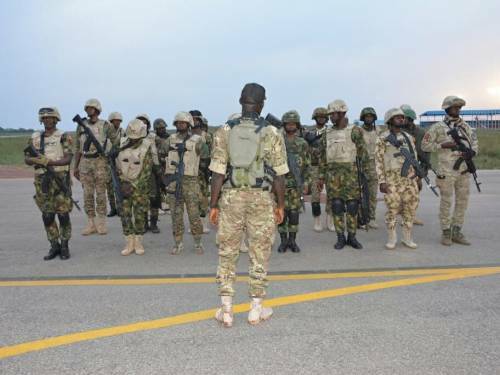 "The Nigerian Air Force (NAF) yesterday, 28 October 2018, deployed a detachment of Special Forces personnel to Kaduna in support of Internal Security operations in the State. The detachment will join other NAF personnel in Kaduna and other security agencies to ensure that the spate of senseless killings in some parts of the State is brought to a complete end and normalcy expeditiously restored." The Nigerian Air Force (NAF) has deployed a detachment of Special Forces personnel to Kaduna to support security operations in the state. Deployed on Sunday, the officers are expected to join other NAF personnel in Kaduna, and work alongside other security agencies in the state. According to a statement by Air Commodore Ibikunle Daramola, NAF Director of Public Relations and Information, the officers were deployed to "ensure that the spate of senseless killings in some parts of the state is brought to a complete end and normalcy expeditiously restored". The statement read: "The Nigerian Air Force (NAF) yesterday, 28 October 2018, deployed a detachment of Special Forces personnel to Kaduna in support of Internal Security operations in the State. The detachment will join other NAF personnel in Kaduna and other security agencies to ensure that the spate of senseless killings in some parts of the State is brought to a complete end and normalcy expeditiously restored. "The deployment is in addition to the earlier deployment of 2 helicopters and a DA-42 Intelligence Surveillance and Reconnaissance (ISR) aircraft on 22 October 2018, which have since been conducting aerial patrols over flash points in the state."